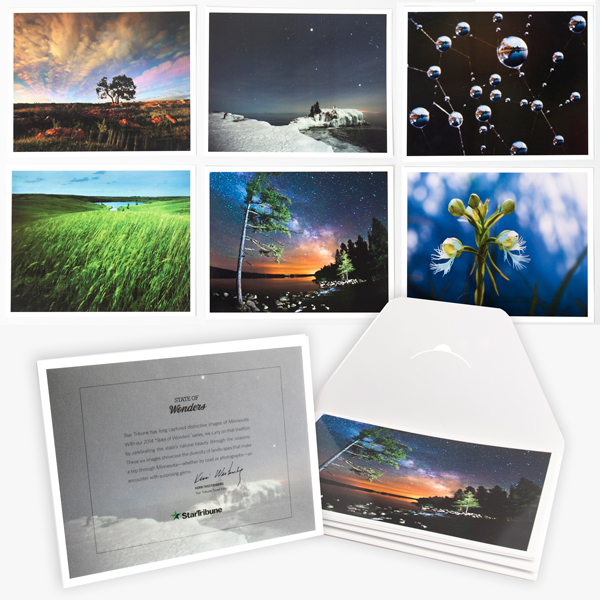 MINNESOTA – STATE OF WONDERS is a full color, 10.5 x11 inch, 152 page hard cover book. Photographer Brian Peterson and writer Kerri Westenberg team up to document the four corners of Minnesota each in a different season. Springtime awakes in the northwest with prairie chicken dances and unfurling, delicate plants. Tallgrass prairies and historic American Indian lands trumpet the full glory of summer. Autumn colors dazzle the Mississippi River Valley, and winter in the Arrowhead region holds both harsh cold and exquisite beauty.